A dozen roses, Champagne and flutes, Chocolate, Rose Petals. 99.00+tax* plus cost of room. 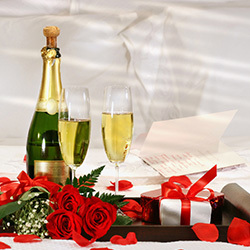 A dozen roses, Champagne and flutes $59.00+tax* plus cost of room. 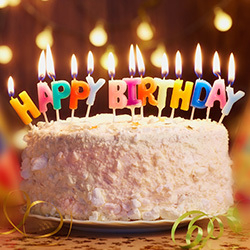 Celebrate your birthday in style with us! Cake with name, Candles, Ballons, Confetti, Happy Birthday sign, Gift basket.$85.00+tax** plus cost of room. *2-Day advance notice. 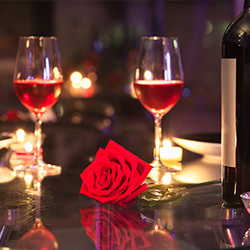 To make arrangements, please call the 3 Peaks reservations department and request the Romance Package, or book online on our website. After you book your room on our website you will be able to select packages including the Romance Package from our online shopping cart. Service of alcohol is subject to state and local laws. Must be of legal drinking age. If alcohol is not permissible by law, sparking cider will be substituted.